On a totally non-Thanksgiving related note, I also created a yummy snack this weekend. 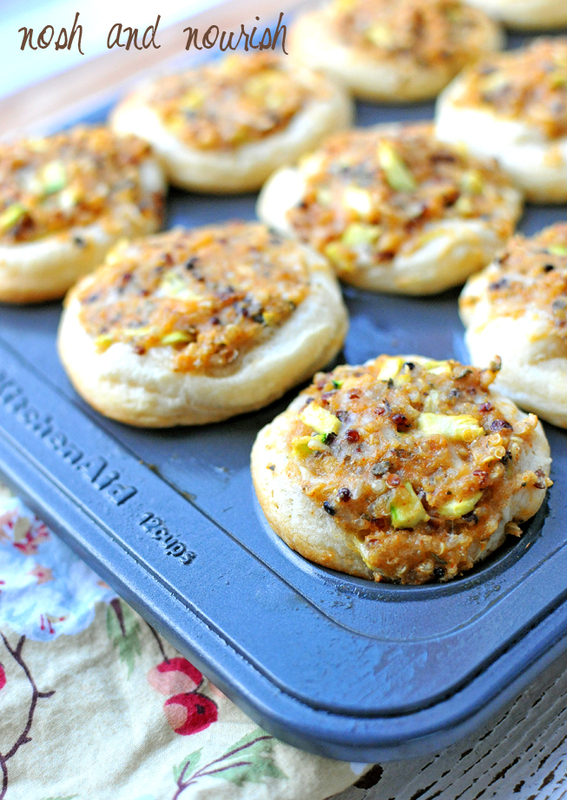 Dear Hubby was skeptical because of the quinoa and zucchini, but loves pizza -- so he gave them a try. He's been so willing to try new things lately, like this and this. 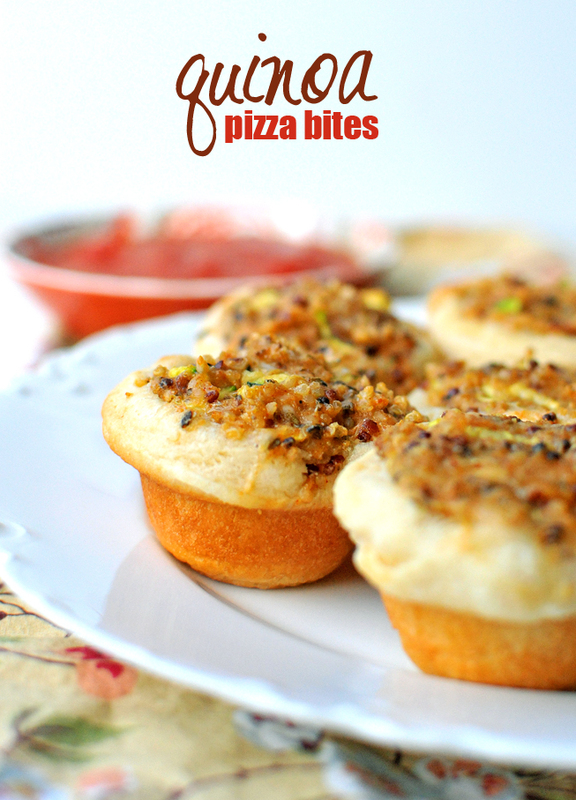 Dip them in your favorite pizza sauce...and try not to eat them all in one sitting! What was your favorite bite at Thanksgiving? Spray 2 mini-muffin tins with non-stick spray. Open up your crescent rolls, unrolling carefully. Press each set of 2 triangles together into one larger rectangle. Use a small cup/glass to cut circles of dough. Press the dough circles into each muffin cup. Combine all remaining ingredients, except for dipping sauce. 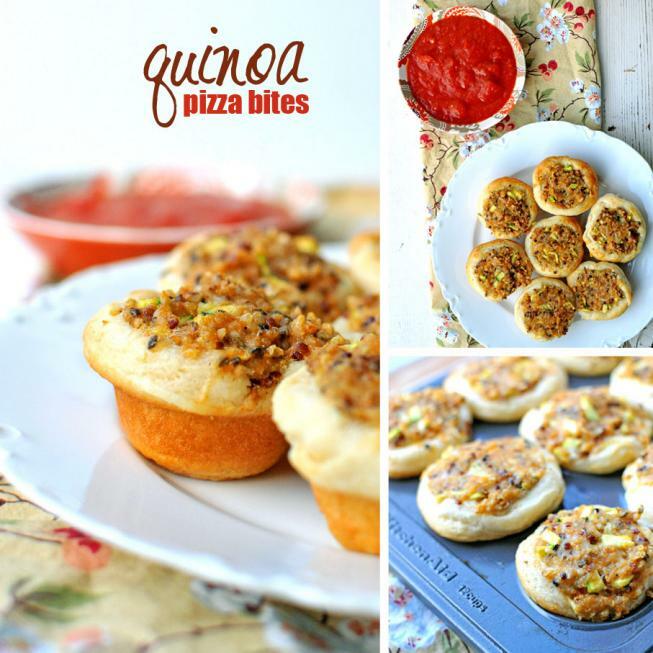 Fill each dough cup with a spoonful of the quinoa mixture.